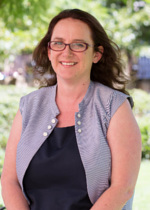 Kellie joined the permanent staff of the Adelaide Law School in 2012. Her interest in both legal practice and research is at the intersection of criminal law and human rights law. She also worked with legal aid criminal clients in private practice and for the Legal Services Commission of SA in 2008 and 2009. In an article published on The Conversation, Kellie Toole, explains why Australia is right not to have grand juries. Click here to read Kellie’s article.